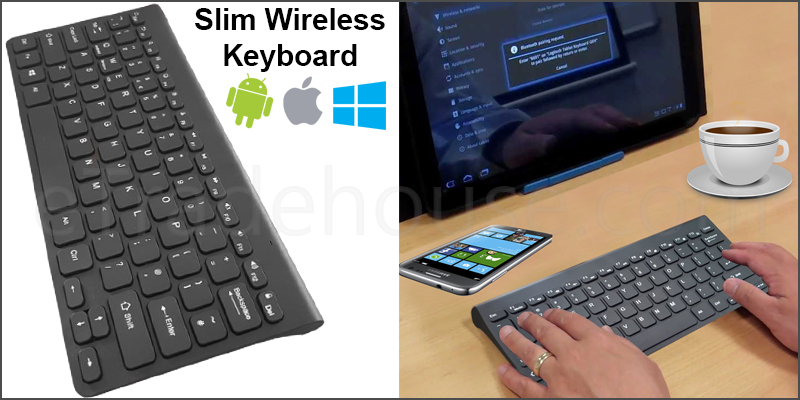 · Slim Wireless Bluetooth Keyboard is a perfect choice for iMac, iPad Android Phone Tablet users to carry it out. · Ideal for iPad, Macbook, Android Tablet setc. · It is easy to get used with these crisp,responsive low profile keys since the keys are basically the same size with normal keyboard. · Super slim and light which easy to carry around. · Mini size which takes less desktop space.